Property is 4.4 acres comprised of 4 existing contiguous parcels. An existing 3233 SF house is sited ont he largest 1.79 acre parcel. The home offers a large value-add opportunity, with existing street-front charm and valley views. 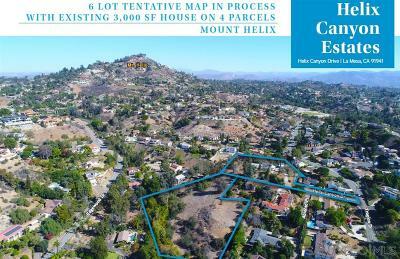 In addition, the property is being sold with a 6-lot tentative map in process. See supplement for potential property uses. Please note room measurements are inaccurate. 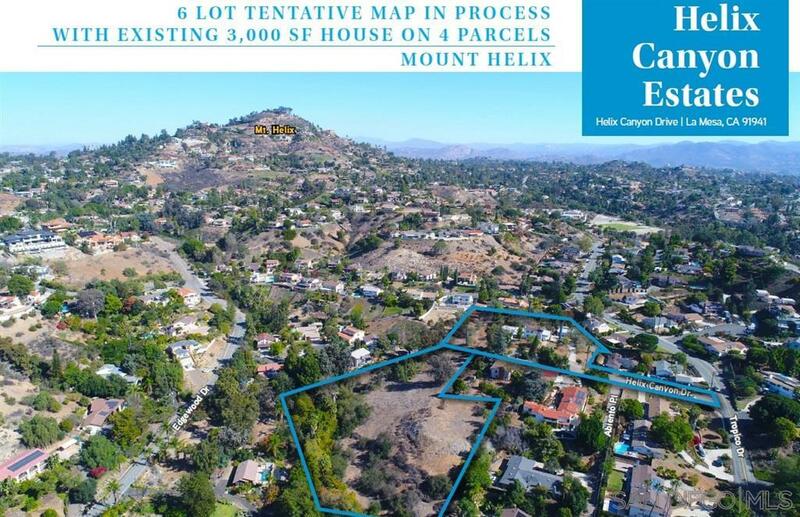 Seller will entertain offers on Just the house, or just the vacant parcels, or everything together., Potential Property Uses: 1) pursue TM to yield 6 lots, requires demolition of existing house. 2) process boundary adjustments among the existing four lots. The min. lot size of 1/2 acre can be met without demolition of existing structure. 3) "as is" 4.4 acre property. Existing structure on 1.79 acres in addition to three unimproved parcels totaling 2.61 acres.